Mrs Sivills from Salford CAFOD came to visit our children. She discussed the dangerous journeys some people have to make in order to reach safety. 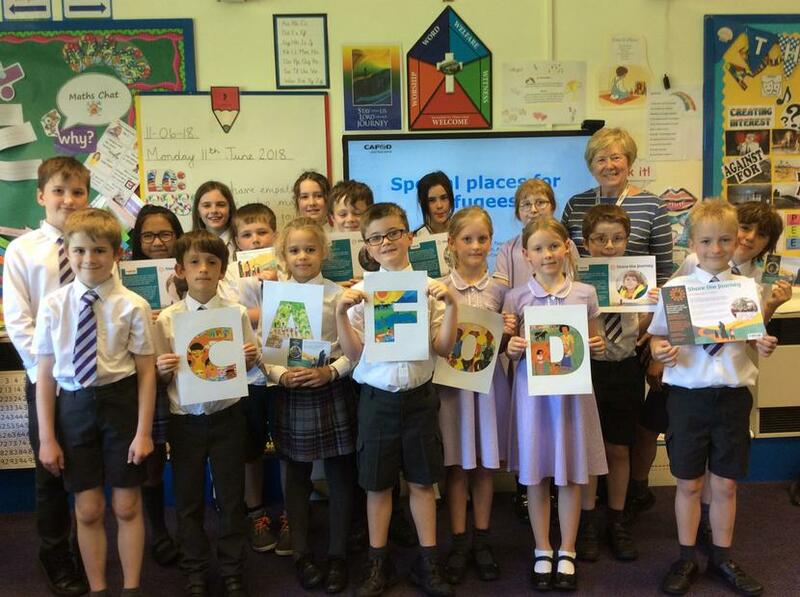 The children walked a mile as part of CAFOD's walk around the world to Share the Journey with refugees and migrants and they prayed for them.